Curious to know your email behavior and usage? How much email did you have to process last year? Who were your biggest senders? Who did you communicate with the most? 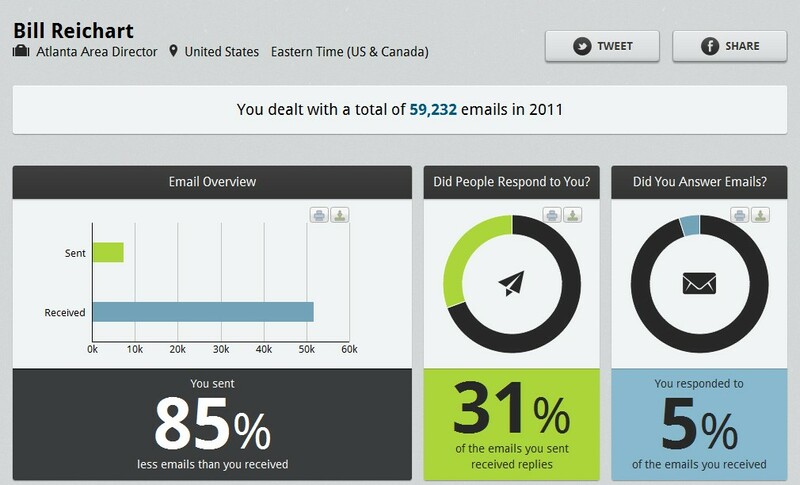 This free analysis from ToutApp is a great resource which will give you an overview of how you are using your email. Check out mine and HERE and to get your free report as well. Does The Internet Rot Your Brain?